Tolle Mischung aus "Black Eyes Peas"-Dancesounds und Pianoballade. Gefällt mir sehr gut. Auch erfreulich, dass man von Eva Simons wieder mal etwas hört. will.i.am's solo career in my view is always filled with fractured gimmicks of ideas, as if they weren't good enough to be Black Eyed Peas songs. I've had a natural aversion towards them and I never enjoy seeing another one climb the charts. edit: Bin überrascht dass ich da damals eine so niedrige Note gegeben habe... mittlerweile ist mir der Song 5* wert... dank hohem Airplay kennt man den Song mittlerweile auch viel besser und seit Album-Release höre ich ihn auch selbst öfters. 3* für mich nur. Da steckt keine Substanz drin, diese Mischung aus Piano, will.i.am und Dancebeats funktioniert auch nicht. Ik ga van dit nummer niet uit mijn dak. Ik had eigenlijk ook niet verwacht dat dit zo'n degelijke hit zou zijn, maar dat is het wel! Ik ben positief verrast! Tönt eh alles gleich - dank der Pianopassage eine noch tolerierbare 3 aber dieses «Live Is Live» Publikumsgebrülle wäre wirklich nicht nötig gewesen. Edit: Nach einigem Anhören gibt's noch einen Zusatzpunkt für Eva Simons - knappe 4. Ben er niet wild van, en Eva Simons doet dit keer daar ook geen bijdrage bij, sorry! Onbegrijpelijk hoe dit nummer op 1 terecht is gekomen??? miauwen als het gejank van Eva Simmons, sorry voor deze commentaar, maar dit nummer is superslecht! Zowel van rapper Will-I-Am als van de nederlandse Eva Simmons. Snel ''Parachute Youth'' of ''Owl City & Carly Rae Jepsen'' op nr 1 aub !!! Naja, Frau Simons zerstört mit ihrem Gemurkse hier manches, hätte er mal Cheryl Schätzchen ins Boot geholt. Die Pianopassagen erinnern verdächtig an "All My Life" von K-Ci & JoJo. Erinnert tatsächlich an die Blackeyed Peas. I hate or dislike pretty much everything Will.I.Am has done as a solo artist. But this is an exception. This is a great song, it's a pity "Scream & Shout" and "#thatPOWER" were more successful than this. The chorus and Eva's vocals are the standout. 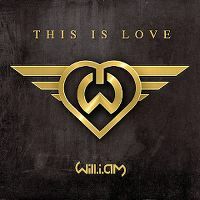 Even Will.i.am's vocals are not as bad as they usually are. Unfortunately like usual though Will.i.am's poor lyrics in the verses let the song down. The production is good but could do with a little more work. It's a great dance/house track but it feels unfinished and its full potential hasn't really been reached. It not as enjoyable as it could've been. But will easily be a standout in Will.I.Am's horrid solo career. Would be a 6 if it weren't for the aforementioned things. Came in at #116 on my TOP 200 OF 2012.